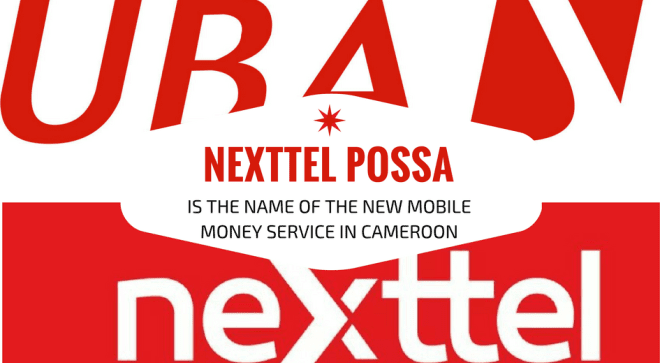 Just like Like MTN with MTN Mobile Money ,SGC Bank with Yup,Western Union with Western Union Mobile and Orange with Orange Money, Nexttel has come into the Cameroon with another mobile banking market with Nexttel Mobile Money Called Nexttel Possa. Nexttel Possa is a mobile banking service offered to Cameroonians by United Bank For Africa (UBA) and Nexttel Cameroon SA. This service will permit Nexttel subscribers to participate in the cashless economy. Nexttel POSSA subscribers will be able to Send and receive money in Cameroon , buy communiction credit, pay bills such Canal +, and others. Nexttel Possa Subscribers can Pay school fees, Convert Mobile money to cash. transfer Mobile money to Bank accounts and more. Cameroon at the moment ranks as number one in Central Africa making use of digital money. Cameroon carries up to 49% of electronic money transactions amongst the six states that make up the economic community of central African state aka CEMAC (Congo,Cameroon, Central African Republic,Chad Equatorial Guinea, and Gabon ). In Conclusion, Possa is the new nexttel service that will allows you to receive and send money at low cost anywhere in Cameroon. The services is fast , simple to use and very secured. Your opinions in the comment section about Nexttel Possa.